Your editorial (18 June) did well to support Seaman McNeilly after his dismissal for querying the safety of our nuclear submarines. 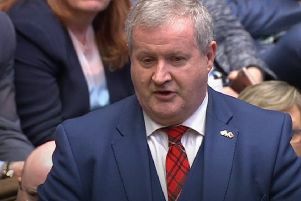 However, it stopped short of asking some important questions after Minister of State for the Armed Forces, Penny Mordaunt, originally announced that McNeilly had “returned to normal duty without charge”. Has there since been a court martial? What charges have had to be faced? What defence has been aired? Can we trust a disciplinary panel composed only of naval personnel? Has McNeilly’s MP been involved? Have the original criticisms ever been checked by independent authority? Has there been any compensation or gagging agreement? Authorities in the NHS, government and the forces seem very willing to support whistle blowers in general and criticise any ensuing penalties but are all too keen to sweep any awkward questions under the carpet of their own departments and dispose of trouble makers as soon as publicity dies down.